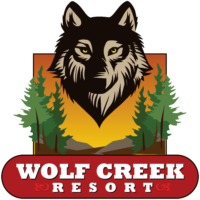 Read our 5-star reviews posted by past guests of the Wolf Creek Resort! Visit us on Google if you would like to leave a review or feel free to contact us for any other questions! The owner, staff, and maintenance man were all extremely helpful and friendly during our stay. It was super quiet, clean, well appointed, comfortable beds. I’m already planning our next stay. Staff is really great! The location was perfect for us, close to the lake and just a few blocks from the village area with plenty of shopping and restaurants. All in all it was a great experience! Our room was gorgeous and clean. We had everything we could possibly have needed. We will definitely be returning!!!! !